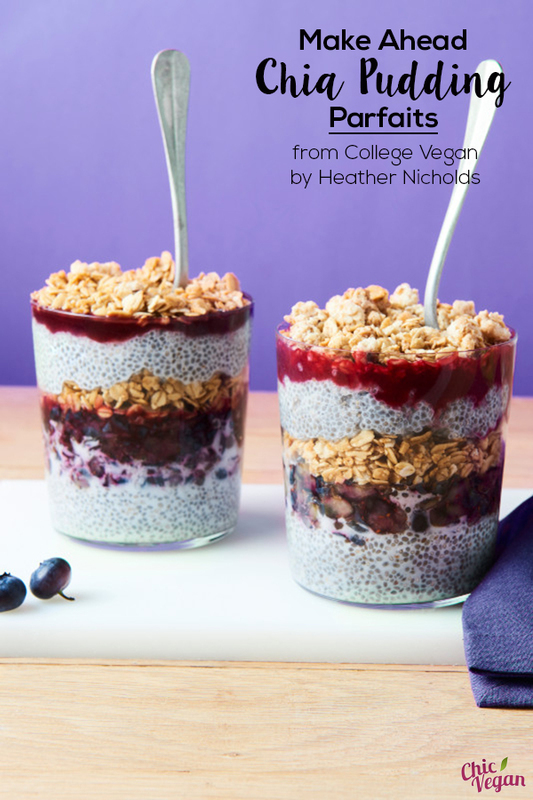 These Make-Ahead Chia Pudding Parfaits from The College Vegan Cookbook by Heather Nicholds make for a nourishing and balanced grab-and-go breakfast. I went vegetarian while I was in college. 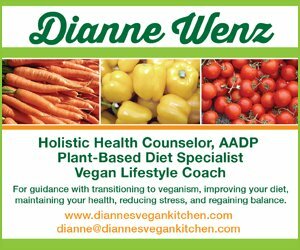 I lived with my mother, but she was pretty unhappy about my dietary change was constantly exclaiming, “I don’t know what you eat!” on a regular basis. Her idea of vegetarian meal was a bowl of frozen peas, carrots, and carrot mixture, heated up, if I was lucky. So, I had to teach myself to cook. And I had to buy my own groceries, too. If only I had Heather Nicholds’s new cookbook The College Vegan Cookbook all of those years ago! I would have ate well while saving money in the process! As you probably guess from the title, The College Vegan Cookbook is a cookbook for vegans in college. 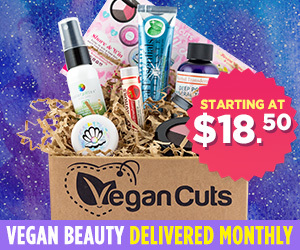 The book begins with reasons to go vegan as well as information for getting all of the nutrients you need on a plant-based diet. Heather has included handy lists of tools and pantry basics to have on hand. She has also included tips on navigating the grocery store and meal-planning. 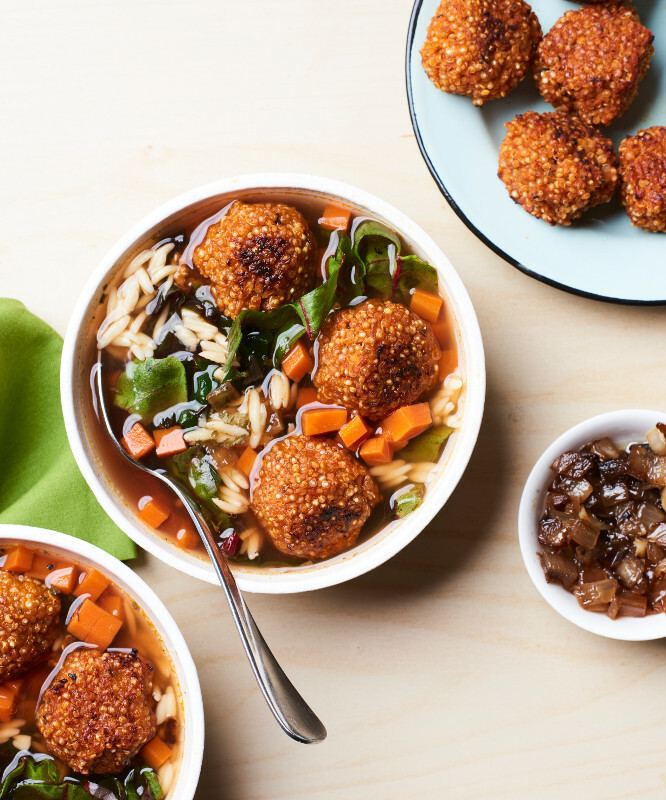 The recipes in The College Vegan Cookbook are versatile and budget-friendly. Each recipe lets you know how much it costs per serving, and many of them include substitution tips. These dishes are easy to make, and they include ingredients that can be found in any grocery store. 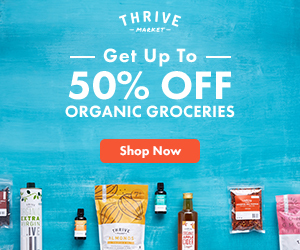 (You won’t find any exotic and costly super foods here!) A lot of the dishes are dorm room friend and good for sharing, too. 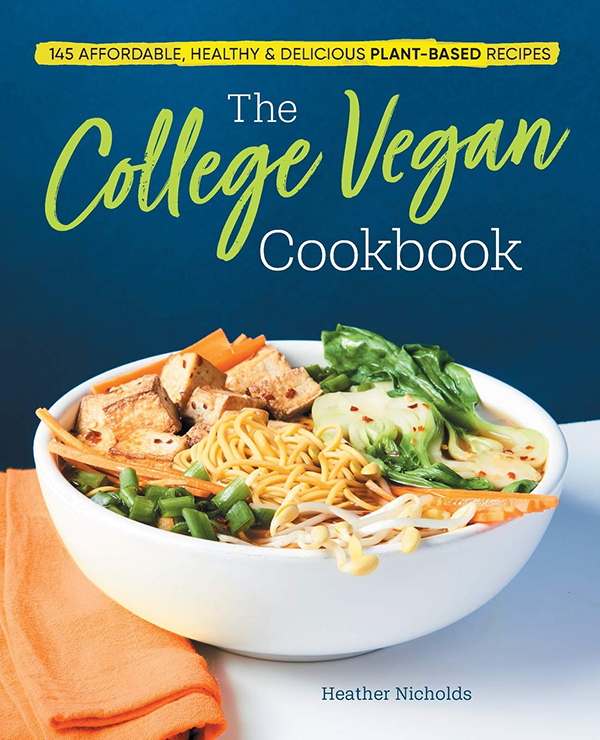 The College Vegan Cookbook will take you all the way from breakfast to dessert, with soups, sandwiches, and snacks in between. Start your day with a delicious Blueberry Oat Muffin or a savory Breakfast Burrito. Snack on Classic Hummus or a handful of Cinnamon-Lime Sunflower Seeds. How can anyone turn down a bowl of comforting Mac & Cheese a homemade Personal Pizza? 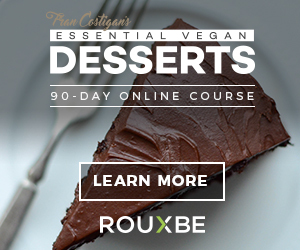 There are recipes for such DIY staples as peanut sauce, oat milk, and vegetable broth, too. In addition to being a cookbook for college-aged vegans, The College Vegan Cookbook is a great resource for new vegans. Those adjusting to a new way of living and cooking will this resource invaluable. These breakfast cups make for a nourishing, balanced breakfast. Just mix them up at least 2 hours ahead to allow time for the pudding to set and chill. If you make them on a Sunday evening, you’ll be set for the coming week. 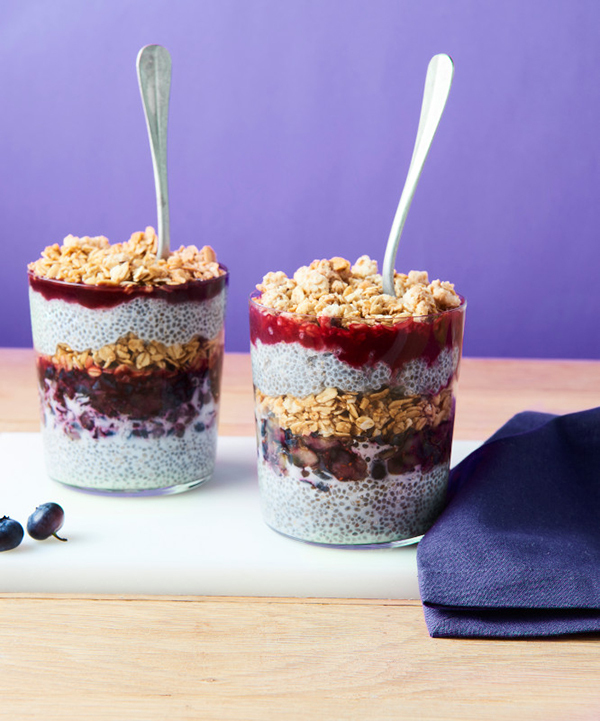 Add 1/2 teaspoon matcha green tea powder to each chia pudding cup for a morning energy, brain, and metabolism boost. In each of 5 single-serving jars or containers, combine 1/2 cup milk, 1 tablespoon chia seeds, and 1 teaspoon sugar (if using). Stir to combine. Layer 1 cup of fruit on top of each, followed by 1/2 cup granola. Refrigerate for at least 2 hours. Grab it and go. Each parfait will keep for up to 5 days. 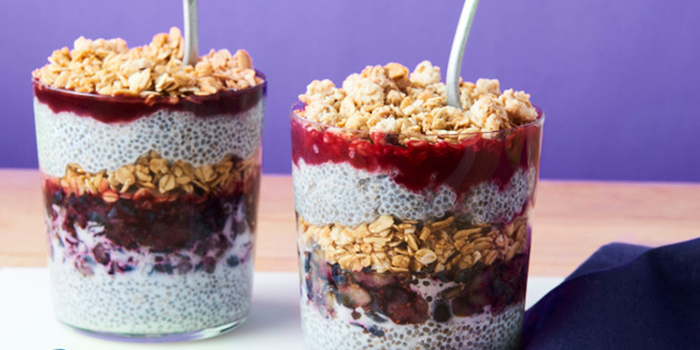 SUBSTITUTION TIP: Swap the chia pudding for mashed banana (use 1 per parfait) or nondairy yogurt (1/2 cup per parfait). Recipe from The College Vegan Cookbook by Heather Nicholds. Reprinted with permission from the publisher, Callisto Media. Using peanut butter as the base for this granola creates an amazing flavor and also makes it oil free. You can easily add more or different nuts, seeds, or dried fruits, such as chopped dates or apricots. The granola bakes almost like a cookie—pull it out of the oven halfway through the baking time if you prefer a softer texture. In a medium bowl, stir together the peanut butter, maple syrup, and vanilla (if using). Add the water, stirring to combine until smooth. On a large rimmed baking sheet, combine the oats, flour, and flaxseed. Toss to mix. Drizzle the peanut butter–syrup mixture over the oat mixture and toss to combine. Sprinkle with cold water, as needed, to fully moisten. Press the granola onto the baking sheet so it sticks together. Bake for 20 to 25 minutes, until it starts to brown around the edges. Remove from the oven and break the granola into chunks. Add the chocolate chips. Bake for 5 minutes more. Cool and store in airtight bags or containers for up to 2 weeks. When choosing chocolate chips or dark chocolate, check the ingredients for milk fat or butter fat. 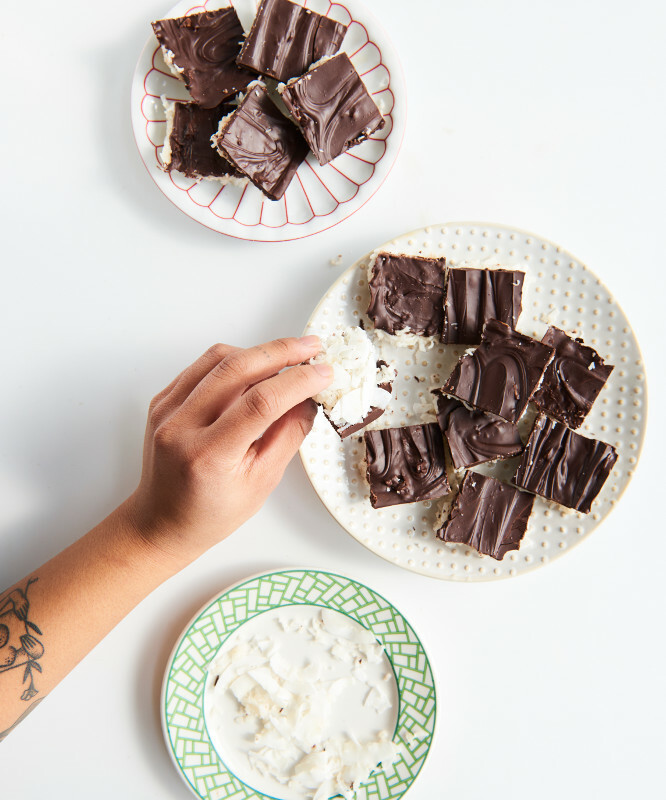 Sometimes dark chocolate is made with these ingredients, which means it’s not vegan. The parfaits look like a dessert. 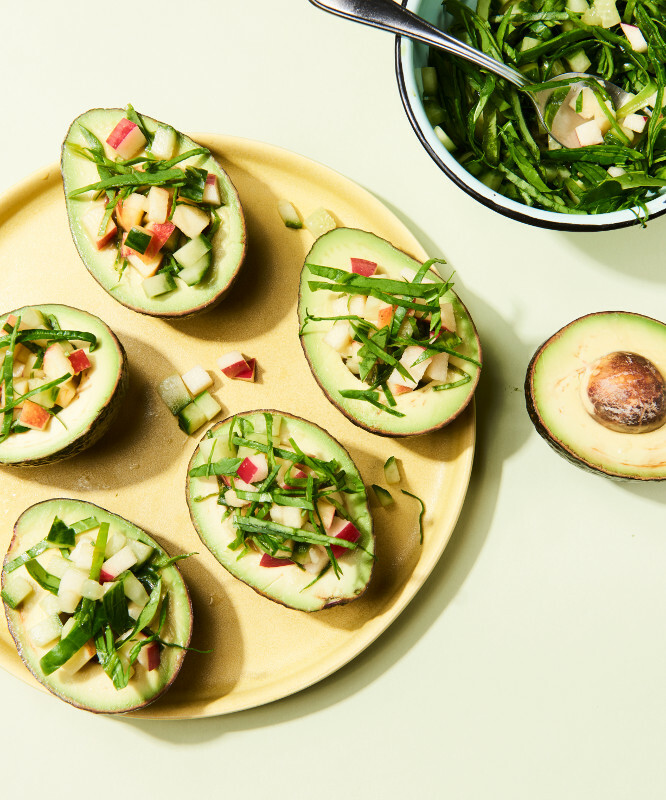 I can’t wait to make what looks like avocado, apple something.